Secular Rescue provided assistance for 53 atheists. TIES certified teachers in 46 states. CSICon had a record-breaking 650 attendees. Last year was another banner year for the Center for Inquiry. We worked our secular magic in a vast variety of ways: from saving lives of secular activists around the world who are threatened with violence and persecution to taking the nation’s largest drugstore chain, CVS, to court for marketing homeopathic snake oil as if it’s real medicine.  CFI stands up for reason and science in a way no other organization in the country does, because we promote secular and humanist values as well as scientific skepticism and critical thinking. But you likely already know that if you are reading this report, as it is designed with our supporters in mind. We want you not only to be informed about where your investment is going; we want you to take pride in what we have achieved together. The longer version of what that means is laid out in this report. Here you will find a compendium of the organization’s incredible work. Take a look at this graphic representation of our work and you’ll see just how broad and varied we are. CFI keeps the history of the freethought movement alive even as we are make history anew with strategic lawsuits and focused advocacy. We operate at the United Nations, on Capitol Hill, in state houses across the country, in the courts, in classrooms, and in the community, representing the interests of people who embrace reason, science, and humanism–the principles of the Enlightenment. It is no secret that these powerful ideas like no others have advanced humankind by unlocking human potential, promoting goodness, and exposing the true nature of reality. If you are looking for humanity’s true salvation, look no further. This past year we sought to export those ideas to places where they have yet to penetrate. The Translations Project has taken the influential evolutionary biology and atheism books of Richard Dawkins and translated them into four languages dominant in the Muslim world: Arabic, Urdu, Indonesian, and Farsi. They are available for free download on a special website. It is just one of many such projects aimed at educating people so they can break free of the stultifying effects of dogma and superstition. But it is you who make all this work possible. Every CFI member, every supporter, every subscriber to one of our flagship magazines, Free Inquiry and Skeptical Inquirer, makes CFI what it is: a powerhouse for reason and science. We literally could not do it without you. Thank you so very much. CFI saved the lives of threatened nonbelievers abroad and advocated civil equality for atheists and the nonreligious at home. Coordinated by Matthew Cravatta, in 2018 Secular Rescue added to its ranks case manager Melissa Krawczyk and academic liaison Phil Zuckerman, professor of secular studies at Pitzer College. In 2018, CFI began a major initiative to bring books by evolutionary biologist and CFI board member Richard Dawkins targeting readers in Muslim-dominated countries, an audience uniquely hungry for scientific literature. CFI’s Translations Project is producing professionally translated versions of several of Dawkins’s books, including River out of Eden, The God Delusion, The Greatest Show on Earth, The Magic of Reality, and The Blind Watchmaker, into languages such as Arabic, Urdu, Farsi, and Indonesian. All will be available as free downloads, with the first finished titles launching early in 2019. CFI holds special consultative status with the United Nations Economic and Social Council. This is the highest status given by the United Nations to non-governmental organizations, and it allows CFI to participate in the UN’s ongoing work. In 2018, CFI submitted four statements to the United Nations Human Rights Council in Geneva and CFI’s president and CEO, Robyn Blumner, gave two in-person oral statements, bringing attention to ongoing persecution and violence against secular activists in Egypt, Mauritania, Bangladesh, and other nations. CFI called out the cynical marginalization of the nonreligious by the Trump administration and its religious Right allies, such as when the president asserted unanimous religious belief by all Americans in his State of the Union address or when Kellyanne Conway scapegoated atheist comedians for the shooting massacre at a Pittsburgh synagogue. Openly Secular, a campaign of the Center for Inquiry designed to eliminate discrimination and increase acceptance of the nonreligious through public awareness, made available free, valuable resources for closeted nonbelievers and encouraged political activism for Secular Values Voters. CFI took on the purveyors of dangerous fake medicine, anti-vaxxers, witchcraft, and conspiracy theories. The Center for Inquiry filed a groundbreaking lawsuit against the nation’s largest drug retailer, CVS, over its sale and marketing of useless homeopathic treatments. CFI accused CVS of consumer fraud for allowing fake medicine to share shelf space, physical and virtual, with actual evidence-based medicine, with nothing to help consumers distinguish real medicine from pseudoscience. CFI also produced a short informational video to explain why homeopathy is a sham and how CVS’s disregard for science endangers consumers. In parts of Africa, belief in witchcraft endangers the lives of children. CFI Kenya has given a new life to children who have been abandoned or threatened by these superstitions through its Humanist Orphans Center and the Ron Lindsay Library (named for CFI’s former president and CEO). Orphans and children with albinism (whose body parts are sold for their alleged magical properties) get the resources they need to live full and prosperous lives, such as food, shoes, uniforms, educational materials, and of course hope. Simple things such as protecting a threatened little girl with albinism or giving students their first socks and shoes have made an immeasurable difference. National Geographic Explorer on the National Geographic Channel recruited CFI’s Independent Investigations Group (IIG) to disprove the absurd claims of the flat-earth movement, prominently featuring CFI West and IIG Director Jim Underdown. Dr. Stephen Barrett’s foundational skeptic website Quackwatch, which combats health-related frauds, myths, fads, fallacies, and misconduct, was welcomed into the CFI family of publications and columns. When Michigan’s State Senate passed legislation granting sweeping new powers to naturopaths, practitioners who rely on pseudoscience and often oppose life-saving vaccinations, CFI rallied our community of policy and health experts to sound the alarm about this legitimization of fake medicine. Through lobbying, litigation, and education, CFI led the resistance against religious privilege in public policy. Nonbelievers should have the right to a wedding solemnized by an officiant that shares their deeply held values. Seeking to build on milestone legal victories in Indiana and Illinois, CFI launched lawsuits challenging the marriage laws in two states, Michigan and Texas. If successful, officiants such as CFI-trained Secular Celebrants would be legally authorized to solemnize marriages in those states. The Texas lawsuit garnered in-depth coverage by the Austin-American Statesman and Deseret News, and CFI Michigan Director Jennifer Beahan appeared on NBC affiliate WOOD in its coverage of the Michigan case. The religious Right’s relentless campaign to redefine “religious liberty” as an exemption from the law and a license to discriminate has been a primary focus of CFI’s advocacy efforts. Thanks in no small part to the grassroots support rallied by CFI and its partners, President Trump and his Congressional allies repeatedly failed in their efforts to neutralize the Johnson Amendment, which prevents churches and nonprofit groups from endorsing candidates for political office, keeping right-wing churches from pouring unaccountable dark money into the election system. CFI also focused intensive lobbying and advocacy efforts on federal agencies such as Health and Human Services, the Department of Labor, and most notably the Justice Department and its “Religious Liberty Task Force,” all bent on allowing religious people and organizations to freely discriminate against groups such as LGBTQ Americans. CFI tackled several high-profile court cases in which religion encroached on Americans’ secular rights. Often working in collaboration with allied organizations, CFI produced amicus briefs for courts at all levels on cases covering such issues as the unconstitutional cross monument in Maryland, the debate over humanist military chaplains, atheist invocations in Congress, and the infamous Masterpiece Cakeshop anti-LGBTQ discrimination case. Opposition to the nomination of Brett Kavanaugh to the U.S. Supreme Court was a driving force for CFI’s legal and advocacy efforts in 2018. Renowned freethought advocate and CFI Chair Eddie Tabash led the charge to alert Americans to the existential threat to American secularism and atheists’ rights that Kavanaugh represented, and Free Inquiry magazine published a special feature in which CFI’s leadership team tackled the crisis of Kavanaugh’s nomination from all angles. The religious Right continued to push voucher schemes to divert public education funds to private religious schools, this time taking aim at a program for schools attended by children in military families called Impact Aid. CFI’s Jason Lemieux, a military veteran, wrote a powerful op-ed for the San Antonio Express-News to expose how this plan would gut the education of these special students. CFI provided significant financial support to the One Law for All Campaign. Headed by world renowned human rights defender Maryam Namazie, it seeks to put an end to discriminatory parallel Sharia and religious courts in the UK. CFI promoted reason, science, and critical thinking with major events, face-to-face training, and a trove of free resources. The Teacher Institute for Evolutionary Science (TIES) has helped middle school science teachers across the country share the wonders of science with their students and navigate opposition to evolution education. Thousands of teachers in forty-three states have been given the tools they need to succeed through 122 free, in-person workshops and, new in 2018, 14 online sessions, which have included presentations by experts such as our own Richard Dawkins, Grandmother Fish author Jonathan Tweet, and Kathleen McAuliffe, author of This Is Your Brain on Parasites. A constellation of skeptic stars headlined the biggest and best-attended CSICon ever. 650 members of the reality-based community gathered at the Westgate Resort and Hotel in Las Vegas to see and hear luminaries such as internationally beloved actor and writer Stephen Fry in conversation with Richard Dawkins, psychologist Steven Pinker, “SciBabe” Yvette d’Entremont, everything-ruiner Adam Conover, woo-watcher Kavin Senapathy, Gwyneth Paltrow’s nemeses Dr. Jen Gunter and Timothy Caulfield, and the triumphant return of the amazing James Randi. You can read about many of the best presentations and even watch many of the presentations on the CFI website. CFI’s Council for Secular Humanism marked the twenty-fifth year of its Robert Green Ingersoll Birthplace Museum with a special Silver Anniversary Celebration headlined by author and scholar Susan Jacoby (Freethinkers, The Age of Unreason), commemorating the legacy of “the Great Agnostic” and his nineteenth century contemporaries in American freethought. The conference featured lectures from historians, activists, and performers, as well as a motorcoach tour of key sites on the Freethought Trail in west-central New York State. Few people were as qualified to speak on the proposed dismantling of evolution education in Arizona than TIES director and middle school science teacher Bertha Vazquez. When the state superintendent sought to inject creationism into the state’s science standards at the expense of evolution, Vazquez’s keen insight was highlighted by news outlets such as the Arizona Republic. The Freethought Trail is both a real-life historical experience and a deeply researched website. That website underwent a major redesign in 2018, making it easier and more fun to learn about the great radical reformers of the nineteenth century. With its annual awards, CFI’s Committee for Skeptical Inquiry and Council for Secular Humanism honored the best in skeptic and humanist works. Morris D. Forkosch Award for Best Book of 2017: Kurt Andersen, Fantasyland: How America Went Haywire: A 500-Year History. Robert P. Balles Annual Prize in Critical Thinking for 2017: Donald R. Prothero and Timothy D. Callahan, UFOs, Chemtrails, and Aliens. CFI tapped into the talents of the secular and skeptic movements like never before. Harnessing the power of its unmatched braintrust, CFI called upon its dynamic community of scholars, scientists, activists, and artists to create content specially for the CFI and Skeptical Inquirer websites. In 2018, CFI welcomed a wealth of new columns such as Kavin Senapathy’s “Woo Watch,” Jim Underdown’s “Ask the Atheist,” cartoonist Celestia Ward’s “Peeling Onions,” and comedian Natalia Reagan’s “She Sells Science” joined an existing lineup that includes Joe Nickell’s “Investigative Briefs,” Harriet Hall’s “SkepDoc’s Corner,” and Paul Fidalgo’s irreverent daily news roundup “The Morning Heresy.” CFI’s websites now boast more than thirty regular columns of original and exclusive content. A backstage look at the filming of Cosmos: Possible Worlds. A sobering look at the humanist case for the right to die. CFI West in Los Angeles held the first-ever Secular Day of the Dead, honoring loved ones who have passed and embracing traditions of the local Latinx community. CFI branches in Indiana, Michigan, and Northeast Ohio all held Civics Days, where attendees became educated about policy issues, trained in lobbying, and met with their representatives. CFI in 2018 saw old friends take on new roles and fresh faces bring new energy and expertise to our community. CFI West Director Jim Underdown and Skeptical Inquirer online “Woo Watch” columnist Kavin Senapathy took over hosting duties for CFI’s flagship podcast Point of Inquiry, with new episodes coming in 2019. Mike Powell joined the CFI national staff as Digital Marketing Specialist and took on the role of editor for Point of Inquiry. Professional translator Jana Lenzova came on board to head up the new Translations Project, which will offer several Richard Dawkins books in languages such as Arabic, Farsi, and Urdu. Former outreach staffer Sarah Kaiser returned to take on the roles of Program Director for the Western New York branch and as a national field organizer. The Secular Rescue program now benefits from the skills of Melissa Krawczyk as its new case manager. Over the summer, CFI’s outreach team was joined by talented interns EJ Sorrell from the University of Texas at Austin and Kayla Bowen from Morehead State University, and former outreach intern London Sneden returned as CFI’s summer legal intern. When you give to the Center for Inquiry and its programs, you want your donation to be stewarded with care and attention to the mission. That’s why we report our revenue and expense ratios here. In addition, our Form 990 is available on our website. In 2018, we generated $5,402,763 in revenues. Seventy-six percent came from individual donors, and the balance came from magazine sales, events, and similar earned income. CFI receives no government funding and very limited corporate support. These figures do not include bequests or support for the CFI Development Fund. Please note that these are not final, audited figures. We save costs by having our audit done later in the year. If you would like to see final, audited figures, please contact the Development Department at development@centerforinquiry.org in August. None of our work would be possible without the steadfast support of our donors and subscribers. We are very grateful for their generosity. Alice Greene McKinney & Kirk McKinney Jr. There has never been a greater need for an organization like the Center for Inquiry, championing facts, reason, truth, science, and secularism, all at a time that they are all under threat by the changing tides of national and global events. Everyone who shares these core values will be needed. CFI needs you to be part of the solution, to join the good guys. Help us make a difference in 2019.